We did it! The Free Software Foundation (FSF) had another successful winter fundraiser this year. For us, 2017 ended on a high note, by blowing past our fundraising goal of $450,000 (USD). Thanks to your generosity, we have raised over $500,000 to power up the FSF and support software freedom in 2018. Fight DRM, support Defective by Design! Read more about the success of our winter 2017 fundraiser here! The Free Software Foundation's work is driven by the four freedoms that define free software and set it apart from proprietary software. The FSF's supporters are the key to embedding freedom in the software that powers devices across the world. We've come a long way in 2017, but in order to keep our momentum going into 2018, we've set a year-end goal of 700 new members and $450,000 in donations. Our mission to promote user freedom and defend the rights of all software users grows more important every day, as the use of software expands into every appliance and every aspect of our lives. Will you power up the free software movement by becoming an FSF Associate Member, increasing your current membership giving, or making a donation? We know FSF members wear their freedom on their sleeves, so through December 31st, all yearly ($120+) new and renewing Associate Memberships can choose to receive our newest Four Freedoms t-shirt, too! The thirteen people who make up the staff of the FSF work hard to serve and grow the free software community -- and over 80% of our annual budget comes from individuals like you. So at the end of each year, we reach out to you to support the FSF's work. You can make a huge impact on our ability to promote free software, no matter how much you are able to contribute. The Licensing and Compliance team hit a milestone with the Respects Your Freedom certification program, doubling the number of RYF-certified products this year. Our Licensing and Compliance team has also highlighted the benefits of copyleft and celebrated the tenth anniversary of the GPLv3 with a series of interviews with developers who choose GNU licenses. There are now 37 interviews in the series, including a conversation with a team within the U.S. Department of Defense. The Licensing and Compliance team successfully resolved 4 GPL compliance cases, and answered over 500 licensing questions from the community. The FSF tech team completed major hardware and software upgrades, including replacing a sixteen-year-old server with an RYF-certified server running an ASUS KGPE-D16 motherboard, with Libreboot and Trisquel. 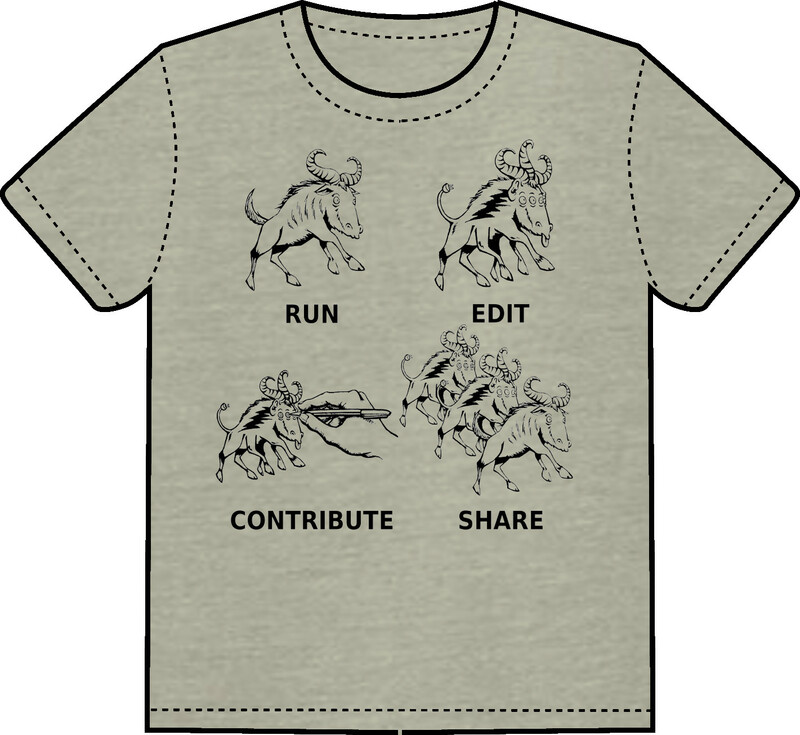 The FSF's free software infrastructure includes the GNU Project's Savannah servers, as well as improved mail servers hosting over three thousand mailing lists for hundreds of free software projects. There have been 191 GNU package releases so far this year! Keeping pace with the changing tech landscape, the campaigns team continually upgrades the Ethical Tech Giving Guide and the High Priority Free Software Projects list. The campaigns team also rallied free software activists in defense of user freedom, including resisting the erosion of Internet privacy and net neutrality protections in the US and beyond. And the number of free software activists is growing: the FSF's Free Software Supporter mailing list has grown by 43% since the beginning of the year. Though the World Wide Web Consortium (W3C) published Encrypted Media Extensions (EME) as an official Web recommendation in September, endorsing Digital Restrictions Management on the Internet, it came with a heavy cost. A third of W3C members disapproved of the decision, and the FSF's Defective by Design campaign raised the volume on public opposition to EME. We may have lost this particular fight -- for now -- but we succeeded in saying loud and clear that embracing DRM is never a good look and are actively working on next steps to undo the damage. LibrePlanet - the FSF's annual free software conference -- entered its ninth year, with more than 350 people attending, 53 speakers, and thousands watching via livestream and viewing archived recordings of the proceedings. What if, instead of proprietary embedded systems in our homes, our bodies, our workplaces, and our public institutions, we were able to encourage enough people to demand software freedom that the four freedoms were embedded in our world? Your support gets us closer. You can become an FSF member for just $10/month ($5/month for students). When you join, you'll get many benefits, including a bootable USB membership card loaded with the FSF-endorsed GNU/Linux distribution Trisquel, a digital member button, member.fsf.org email aliases and Jabber instant messaging, gratis admission to the annual LibrePlanet conference, a 20% discount on all purchases in the FSF shop, a printed copy of the biannual FSF Bulletin, 5% off hardware from ThinkPenguin, and more! And remember, all new and renewing members between now and December 31st may opt to receive a new FSF Four Freedoms t-shirt as a thank you for their membership. You can trust that your donations will be used efficiently: our Charity Navigator rating is four out of four stars, with a score of 100% on accountability and transparency, and 99.4% on financial management. We use all free software in our operations, demonstrating that no nonprofit requires proprietary software in order to excel. We're settling into our fourth decade, but we have so much more to do. 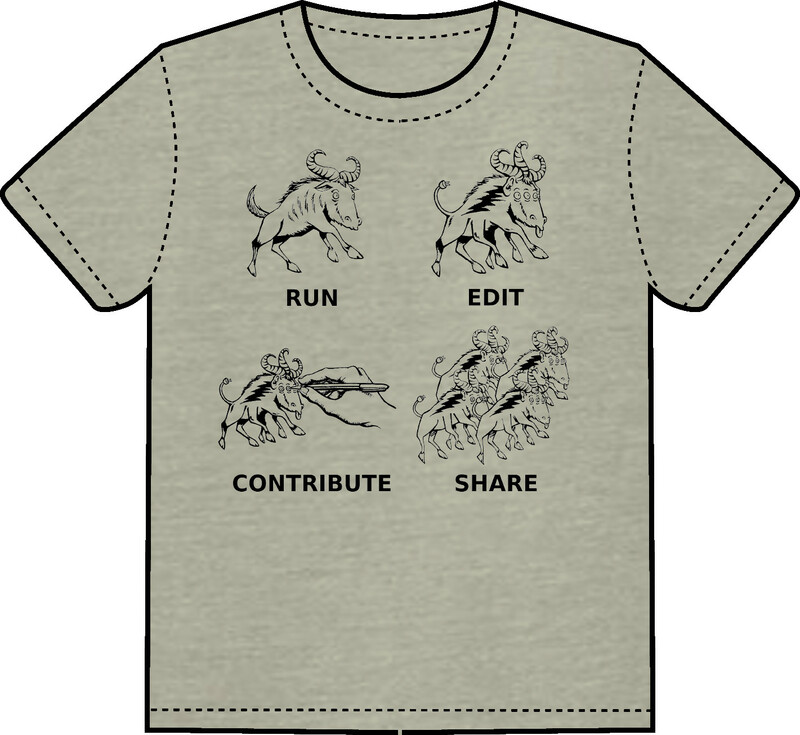 If we're to embed software freedom in the world, we need your dedication and generosity powering us up. P.S. Your employer may match your charitable donations, and the FSF generally qualifies for these matches. Our EIN is 042888848. US federal employees can support the FSF through the Combined Federal Campaign. Our CFC ID is 63210, and you can pledge until January 12, 2018 for the current campaign period.